Join Friends of the Rappahannock and the Fredericksburg Chamber of Commerce for our annual Big Fall Cleanup on Sunday October 7, 2018. 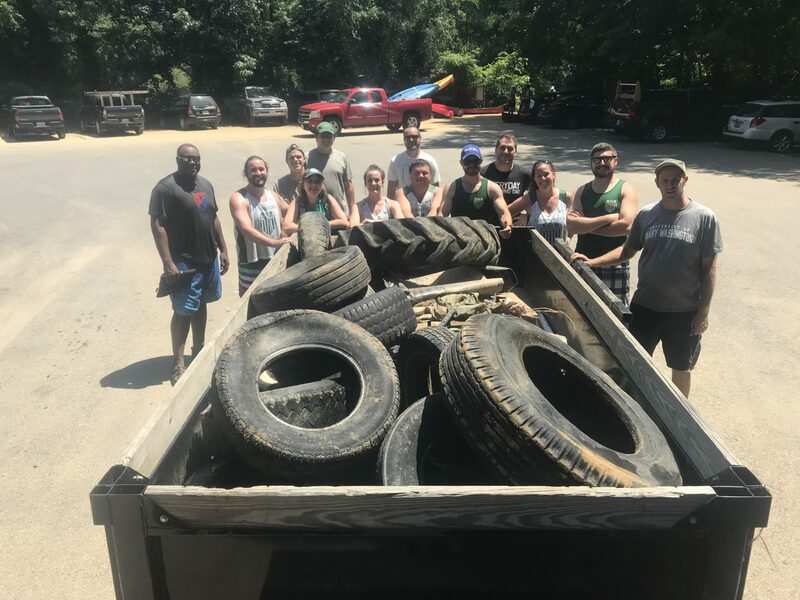 Cleanup crews will be canvassing the Rappahannock and nearby tributaries for tires, bottles, and other litter to keep our waterways clean and beautiful. At our 2017 event, more than 200 hardworking volunteers hauled over 6,600 pounds of litter from 12 sites along our local waterways. Help us beat last year’s performance by volunteering your time or donating to a great cause. Organization/Business Registration. Are you a part of a nonprofit, scout group, school group, faith group, or private business that wants to give back to our river? Registration is open for volunteer groups of 10 or more to claim a site for our Big Fall Cleanup. Please use the link below to register your group. Cash Donations. A cleanup this big ain’t free! Your cash donations go toward covering the numerous costs of this event, including providing lunch for all volunteers and purchasing drinks, cleanup materials like bags, gloves, litter-pickers, and other cleanup expenses. See the Event Page below for information on how to become a Silver or a Gold Sponsor. Stay tuned for Individual and Family registration, which will open on September 17.